What do sticky feet, body odor, and cracked, sweaty and saggy skins have to do with our museum collection? A survey of plastic materials in Cooper-Hewitt collections, supported by the Smithsonian’s Collections Care and Preservation Fund, was recently conducted by a team of conservators. We saw and smelled many of these plastic deterioration issues—up close and personal. 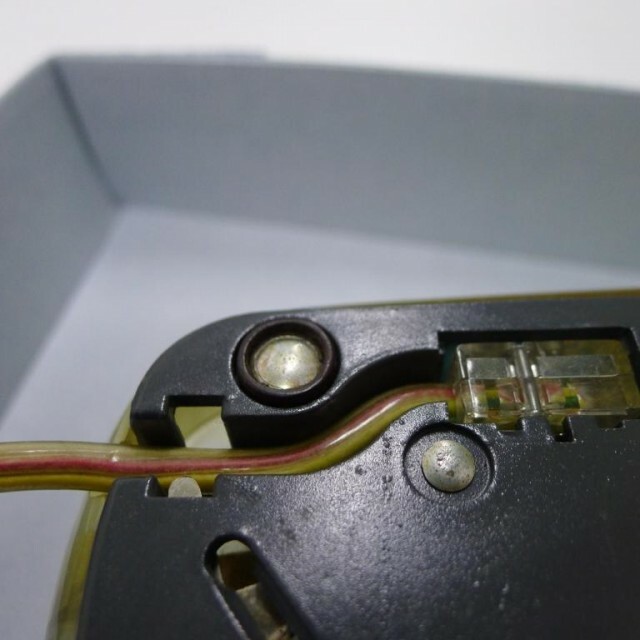 The body of the Trimline telephone, designed by Henry Dreyfuss in 1968, is made from cellulose acetate butyrate (CAB). This thermoplastic polymer is composed of cellulose mixed with acetic acid and butyric acids. Deteriorating CAB gives off the unpleasant smell of butyric acid (a little like vomit). The phone also has small feet on the underside that have become sticky after forty years, as have the polyvinyl chloride (PVC) cords. This type of deterioration was frequently found within Cooper-Hewitt’s Product Design collection. It is most likely due to loss of plasticizers, originally added to the plastic during its manufacture to make the plastic more flexible. As the plastic ages, plasticizers migrate to the surface, making the surface sticky. In order to address both these issues, the Trimline phone is now stored in a special housing. It has a silicon coated polyester film (Mylar) lining to prevent any sticking to the housing base and includes board impregnated with zeolites, which will absorb the butyric acid vapors and hopefully the smell. At the end of the project, over 1,550 objects were surveyed and specific recommendations were made for future conservation treatments and storage improvements. While it may not be possible to stop the signs of aging, it is possible to slow them and we can now target our efforts to keep the collection young and beautiful, or at least polite and presentable. Fascinating info about conservation of modern artifacts, thanks. Telephone, "Trimline Phone". Designed by Henry Dreyfuss, 1968. Gift of Henry Dreyfuss. 1972-88-179-1.